Warning Huge pictures are HUGE! 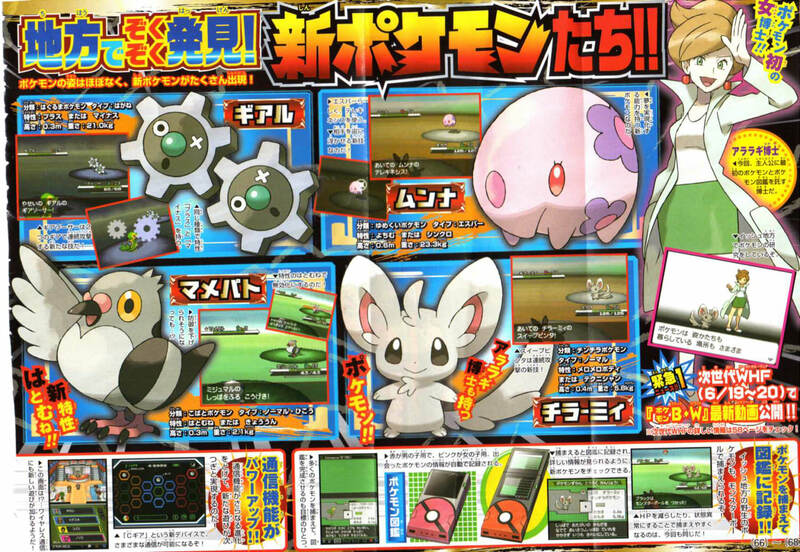 -The Mouse Pokémon shown is said to be called Chiramii (チラーミィ). It is Normal-type, the Chinchilla Pokémon. It is 0.4m tall, 5.8kg. It's abilities are Cute Charm & Technician. It has a move called Sweep Slap (スイープビンタ) which attacks several times consecutively. -The pig like Pokémon is called Munna(ムンナ). 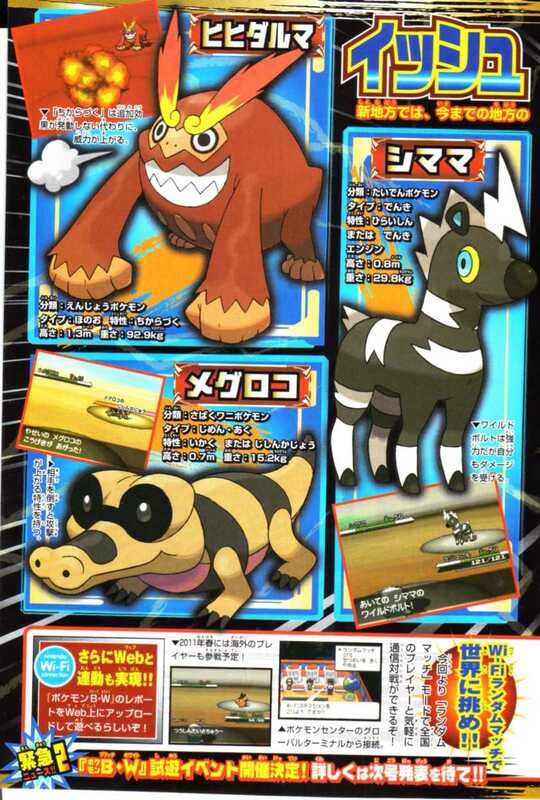 It is the Dream Eater Pokémon and is Psychic-type. It is 0.6m tall and 23.3kg. It has the abilities Forewarn & Synchronise. It has an attack called Telekinesis (テレキネシス) which makes the opponent float in the air. 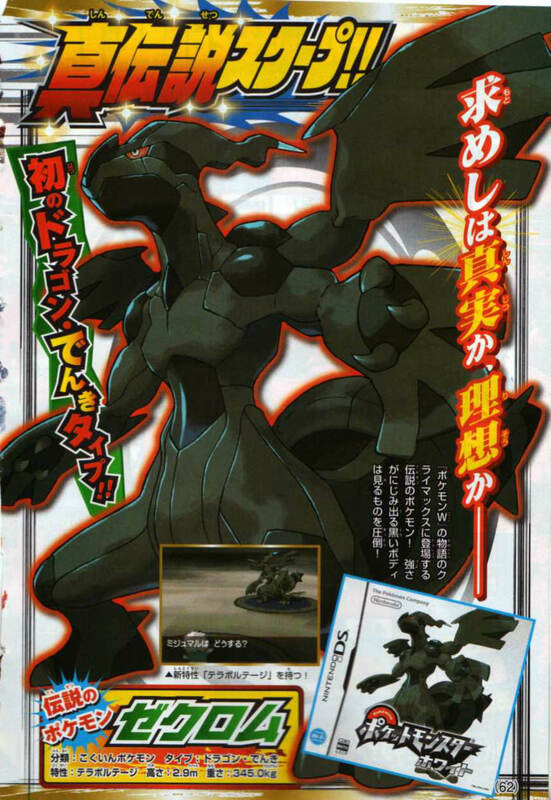 -Zekrom is an Electric/Dragon as predicted. 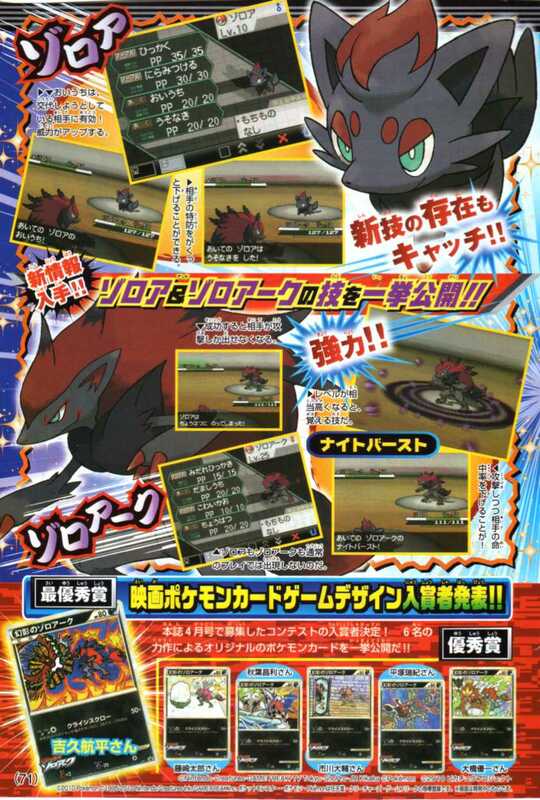 It is the Black Ying Pokémon. It is 2.9m and 345kg. It has the Terra Voltage ability. -There is a new feature called the C Cog which allows you to play with various connection capabilites. To what end is not known, but there is a screenshot of the player in the Pokémon Centre with various connection stats at the bottom. -In this game Global Terminal inside of the Pokemon center and it is called "Random Match". It just says that you can play freely with people from all over the country in random match mode. Then says that in spring 2011 that foreign players will join. The Global Terminal is now also located in the Pokémon Centres.